No matter the size of the problem, our miniature CCTV drain survey equipment is perfect for investigating any commercial drainage issue. Operated by our experienced team, the camera systems we use during our CCTV drain surveys are an invaluable tool for commercial drainage works. They allow us to quickly look close up at any part of a pipework system, meaning a quick diagnosis and identification of serious issues or potential problems. Working across Medway, Kent, Surrey, Sussex and London, we provide a comprehensive service, specialising in identifying blockages and cracks and assisting in insurance claims. Receive your no obligation quotation at your convenience; call our expert CCTV surveys team now on 0800 781 8922. Working alongside other drain maintenance services, our CCTV surveys are a very effective way of identifying problem areas and potential issues. Our miniature cameras help us quickly and accurately trace the source of blocked drains, help us follow dye tracing through parts of inaccessible drainage systems and find cracked pipes. We appreciate that businesses and commercial properties are busy places, which is why we will carry out any necessary CCTV drain surveys and repairs whenever it is most convenient for you. We will keep disruption kept to an absolute minimum and will work during weekends or out of office hours if it is better for you. If you're making an insurance claim on your building insurance for drainage problems, the chances are the company involved will expect a full CCTV survey on any affected drain. They will expect a clear map of the system showing where the problems are; plus, video evidence of cracks and breaks and a fully written-up report. At JLH Drains, we provide comprehensive CCTV drain surveys and supply full reports, with DVD footage, for commercial insurance claims across Kent, Medway, Surrey and Sussex. Thanks to our decade of experience in all aspects of emergency drainage repairs and surveys, we get CCTV drain surveys carried out quickly, efficiently and at very affordable prices. Based out of offices across Kent, we respond quickly to emergency drainage requirements throughout Faversham, Dartford, Maidstone, Bexley, West Malling, Orpington, Sheerness, Whitstable, Medway, Gravesend, Strood, Gillingham, Rochester, Tonbridge, Chatham, Ashford, Sittingbourne, Canterbury, Ramsgate, Sevenoaks, Margate and Tunbridge Wells. 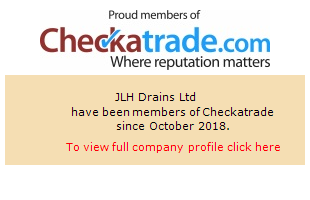 No matter what your requirements for CCTV drain surveys or any other confined or inaccessible space put it in the hands of the specialists at JLH Drains in Kent; contact our drainage company today and we can arrange a no obligation survey and quotation with one of our experienced commercial drainage team. Working throughout Medway, Kent, London, Sussex and Surrey, we provide commercial clients with comprehensive pollution control to help property owners trace the source of pollution and clean it up. If you have discovered splits and cracks in your commercial pipework, then drain relining could provide the mess-free and affordable solution. Call the drainage experts at JLH Drains to find out more.